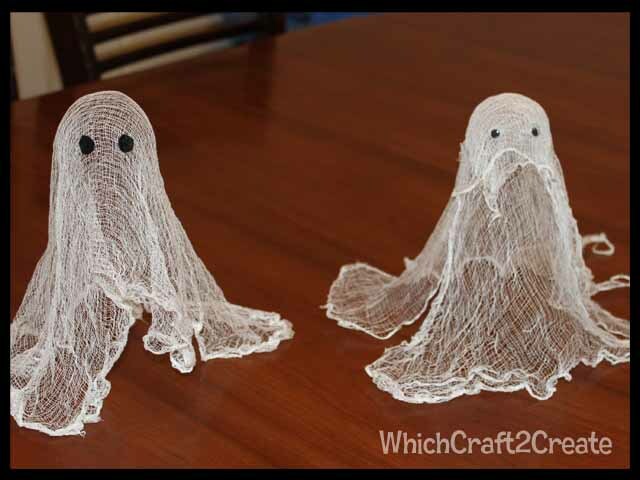 Halloween Ghosts | Which~Craft 2 Create? This little project has been on the someday list for awhile! The best part about it was that it is easily adaptable for all ages to enjoy and everyone to make their own masterpiece. 1. Bring to a boil 3 3/4 cups water. 3. Pour into pan of boiling water and stir continuously for 1 minute. 5. Dip cheese cloth into mixture and gently wring out. 6. 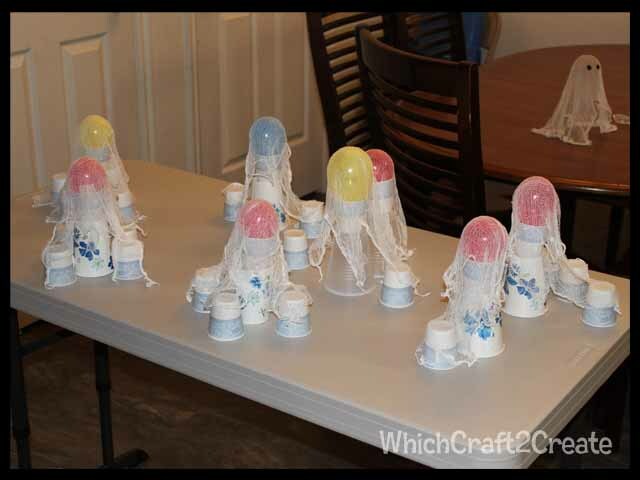 Spread cheesecloth out and drape over form. 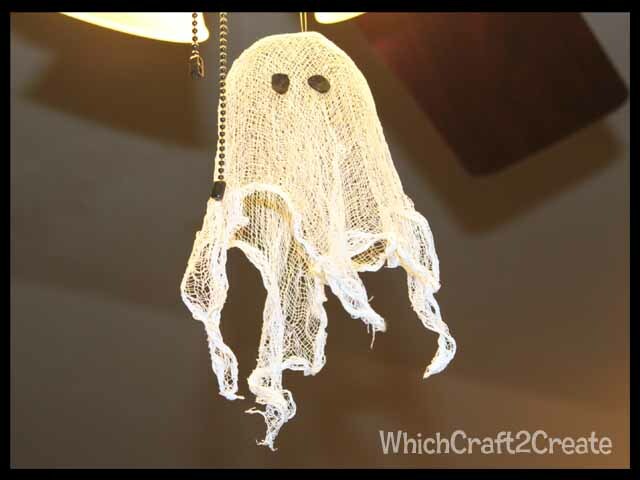 This entry was posted in Activity Day, Crafts, Fall, Halloween, Holidays, Kids, tutorial. Bookmark the permalink.